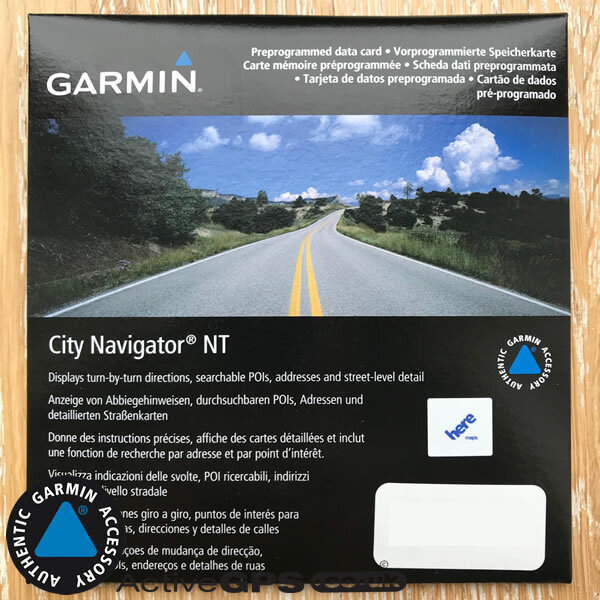 Garmin City Navigator NT Middle East and Northern Africa maps on SD/microSD Card provide you with detailed street-level road mapping throughout most of the region. 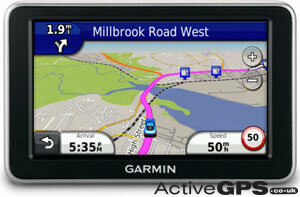 These maps can be used within the popular nuvi car sat-nav range, zumo motorcycle sat navs and other Garmin GPS devices. Once installed the pre-programmed SD card provides detailed street-level mapping for Middle East and Northern Africa with turn-by-turn directions, address lookup and more. 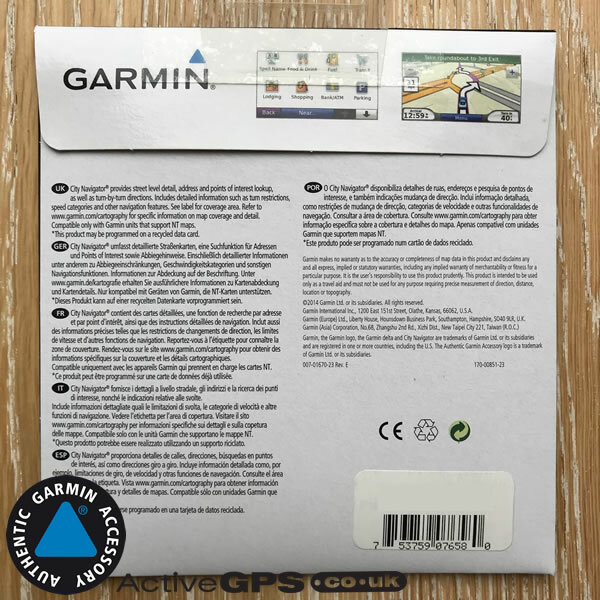 Update or add Middle East and Northern Africa sat nav maps to your compatible Garmin device with this genuine Garmin City Navigator map. Once installed the SD card provides a combination of detailed street-level mapping and urban areas with intertown roads for Middle East and Northern Africa with turn-by-turn directions, address/post code lookup and points of interest (POI) including restaurants, petrol stations, attractions and more. The City Navigator NT UK and Ireland map features here street-level full coverage for Bahrain, Jordan, Kuwait, Oman, Qatar, Saudi Arabia, United Arab Emirates, Egypt: Al J?zah (Giza) - Agouza, Boulak El Dakrour, El Dokki, El Haram, El Omraniya, El Sheikh Zayed, Imbaba, Mad?nat 6 Ukt?bar. Morocco: Chaouia-Ourdigha - Khouribga. Doukkala-Abda - El Jadida, Safi. Gharb-Chrarda-Beni Hssen - Kénitra. Grand Casablanca - Casablanca. Fés-Boulemane - Fés. Marrakesh-Tensift-El Haouz - Meknès-Tafilalet- Meknès. Oriental - Nador, Oujda Angad. Rabat-Salé-Zemmour-Zaer - Rabat. Souss-Massa-Drâa - Agadir. Tadla-Azilal - Beni Mellal. Tanger-Tétouan - Tanger, Tétouan. Taza-Al Hoceima-Taounate - Taza. Lebanon: - Beirut Governorate, Mount Lebanon Governorate, NorthGovernorate, South Governorate. Includes major metropolitan coverage for Iraq, Tunisia and Yemen. We aim to stock the latest maps available on SD/microSD Card. The version of the Middle East and Northern Africa map we currently have in stock is version ?. Get turn-by-turn directions to any address with the City Navigator NT maps of Middle East and Northern Africa (010-11550-00). In addition compatible Garmin sat navs also speak the road names. City Navigator maps use here maps which include the latest road network covering more than 974,300 km of roads including motorways, national and regional and local roads. City Navigator NT Middle East and Northern Africa also provide more than 1.55 million points of interest database (POI) such as hotels, restaurants, banks, cashpoints, shopping centres and petrol stations. They also feature speed limit data direct to your sat nav. Warnings to speed camera locations are an optional extra, via subscription. Do you have a question regarding the Middle East and Northern Africa City Navigator maps? Please contact us to ask us or see our Garmin mapping FAQ page. Please note: The images above are screen shots from various City Navigator maps and NOT from the Middle East and Northern Africa map. 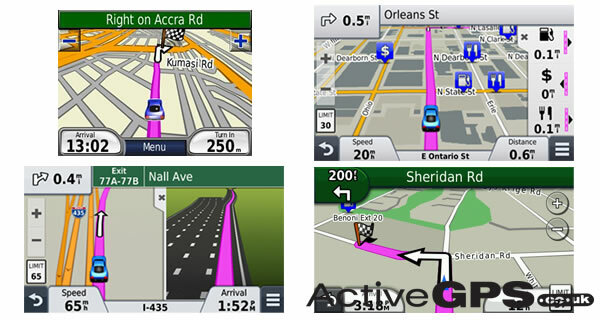 In addition the four screen shots are taken from different Garmin nuvi models, these may differ from the layout that you see on your Garmin GPS device - for illustration purposes only. City Navigator Middle East and Northern Africa mapping comes supplied on a microSD inside a larger SD card adaptor. 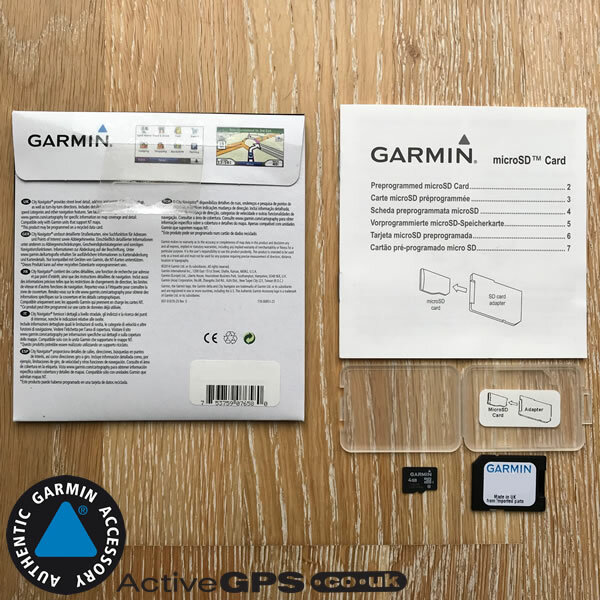 To install insert either the full size SD or microSD card (depending on model) into a your Garmin's SD card slot. Answer: The map data on the SD/microSD Card is write protected, therefore it CANNOT be copied. 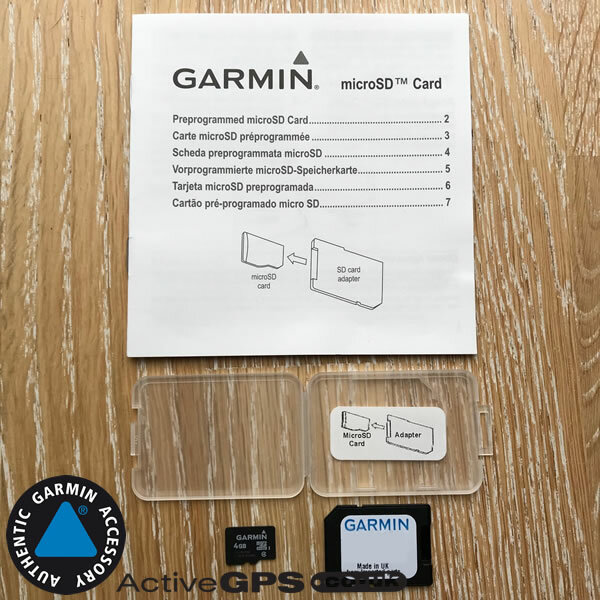 You must always have the SD/microSD Card inserted in your Garmin nuvi 2639 to view and use the map data on any Garmin device. 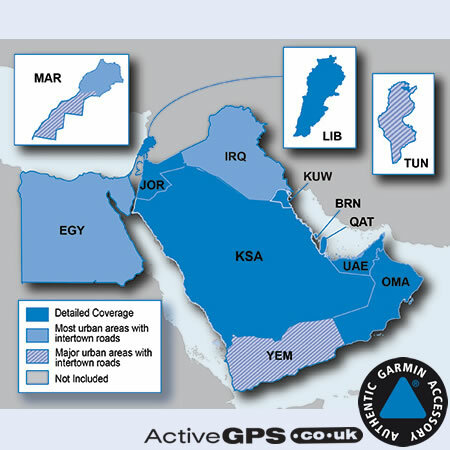 Do you have a question about the Garmin Middle East Map? Submit your question via our contact page. The Middle East and Northern Africa map is one of 24 maps we sell in the Garmin City Navigator series. 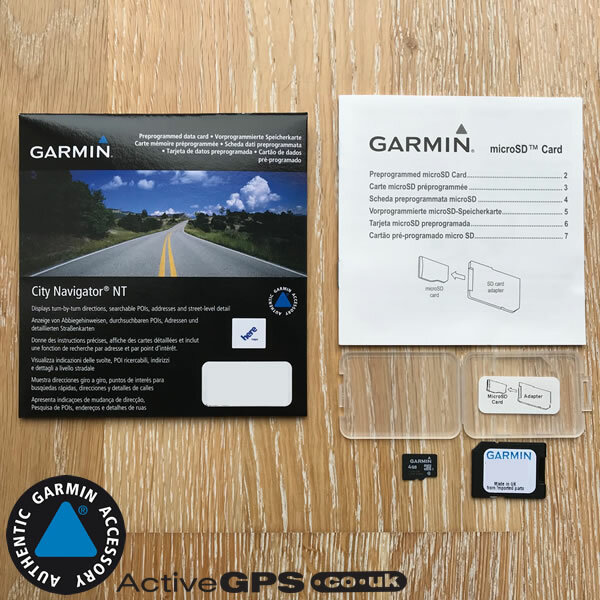 So whether you heading across to Europe or over the pond to USA and Canada or down under to Australia or New Zealand there's most likely a map you can buy to use with your Garmin sat nav.